Posted on 08/14/2016 08/14/2016 by Breeze R.
In my inbox, among the more “serious” of my newsletter subscriptions such as Vox Sentences or AdWeek’s BrandWeek Report, you’ll also find the daily digest from Comic Book Resources. That’s because in addition to trying to stay smart for my day job, I’m also a huge fan of pop culture and comics. So when I opened the newsletter last week to find an article about the new DC Comics cartoon Justice League Action, I clicked on it immediately. The original DC Animated Universe, after all, is what ignited my love for comics to begin with. “We wanted to do a show for kids, to appeal to boys in particular,” [Producer Alan] Burnett added. This quote made my heart sink to my stomach. Why? Because it reminded me of the very reason Young Justice, another great DC animated series, was cancelled: Because executives on these networks don’t want young female audiences. Is it pure sexism? Not exactly. They didn’t want a female audience because girls don’t buy toys. This is what Young Justice creator Paul Dini said in an interview citing the network’s reason for cancellation. That logic seems a little silly in retrospect, given the backlash Disney has faced for excluding Rey from Star Wars sets, Black Widow from Avengerssets and Gamora from Guardians of the Galaxy sets. Evidently, girls are buying toys. Or, at least trying to. But evidently networks airing cartoons are still using the same old logic when it comes to young female audiences. What’s worse to me is not just the gender issue. It’s the fact that the show’s creators are saying they’re not dedicated to making the best show possible, regardless of what gender audience that would bring. Ideally a great show, I should think, would get the attention of boys and girls. 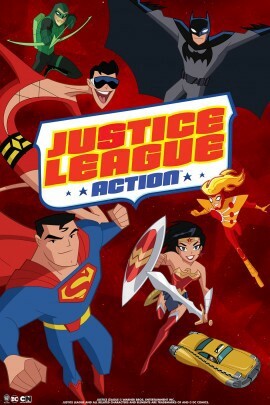 Going back to the DC Animated Universe example of Justice League andJustice League Unlimited, those were great shows that have stood the test of time. And they weren’t great shows despite the fact they had story lines that featured strong, interesting women. No, they were great shows because of it. 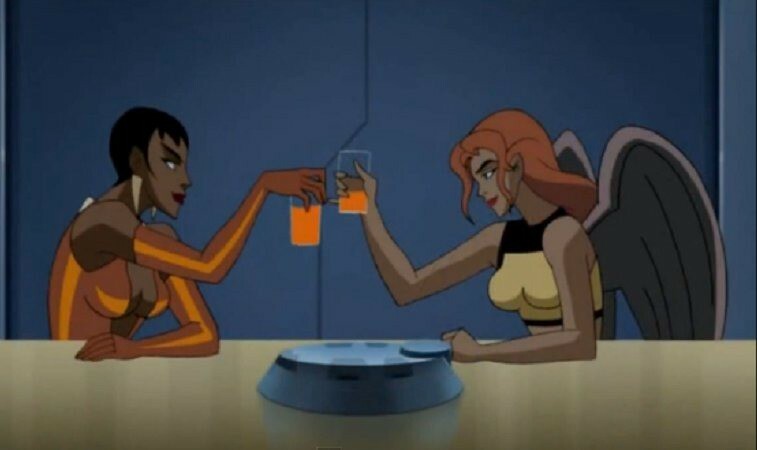 Hell, they even have an episode where Vixen and Hawkgirl worked together to defeat an enemy despite both being in love with the same guy. Wow, women can work together instead of tearing each other down. What a novel idea. I could cite more recent examples like the fact that Jessica Jones won a Peabody Award or that The Force Awakens had a female protagonist and was a massive box office success. But I shouldn’t have to. I get that companies want to make money. I too, after all, have a job. But my job in public relations also had taught me that consumers value brands that are transparent and authentic, not just money-grubbers who don’t believe in what they’re selling. Comic book companies: Commit yourselves to making the best product despite what the networks or marketing department might say. Regardless of whether that product is a comic, TV show or film. Make the best products, and they will attract the right audience. Because the right audience is an audience of loyal fans who appreciate your work, not just an audience made up of a specific gender.